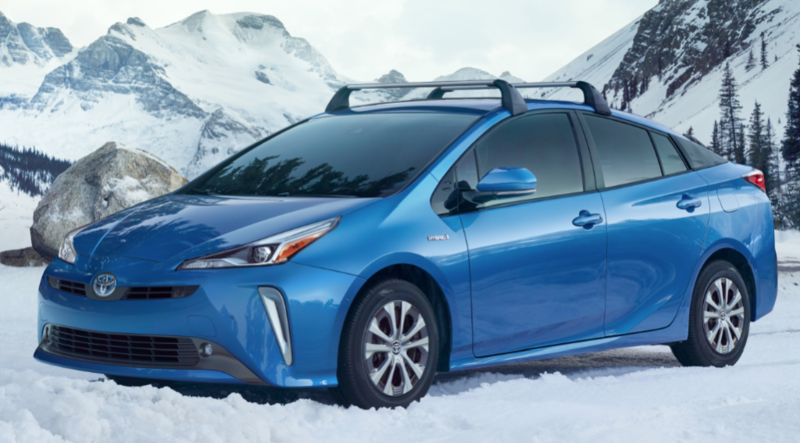 It would seem more fitting for the Chicago or Detroit Auto Show, but Toyota chose the 2018 Los Angeles Auto Show to introduce a Prius with more “snow” appeal. As with some other Toyota all-wheel-drive hybrids, such as the Highlander Hybrid midsize crossover and the redesigned 2019 RAV4 Hybrid compact crossover, the normally front-wheel-drive Prius gains its all-wheel-drive status by using an electric motor to power the rear wheels rather than running a driveshaft back there. 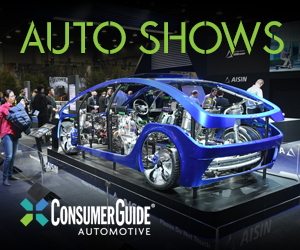 The motor always powers the rear wheels when accelerating from a stop up to 6 mph, then disengages unless wheel slip is detected, in which case it powers them up to 43 mph. This allows for a “boost” at launch while shutting off the motor when it’s not needed in order to improve fuel economy. Speaking of fuel economy, that of the Prius AWD-e remains exceptional. With an EPA rating of 52 city/48 highway/50 combined, it’s only two mpg off the rating of a “regular” Prius, 5-6 off that of the Prius Eco. Toyota says that adding AWD capability doesn’t impact the Prius’s excellent cargo space. The Prius AWD-e also shows off updates that are applied to all 2019 Prius models, including revised front and rear styling along with interior alterations. Standard on all Prius models for 2019 is Toyota’s Safety Sense P (TSS-P) suite of high-tech safety features, which includes forward collision warning and mitigation with pedestrian detection, lane-departure warning and mitigation, full-speed adaptive cruise control, and automatic high beams. 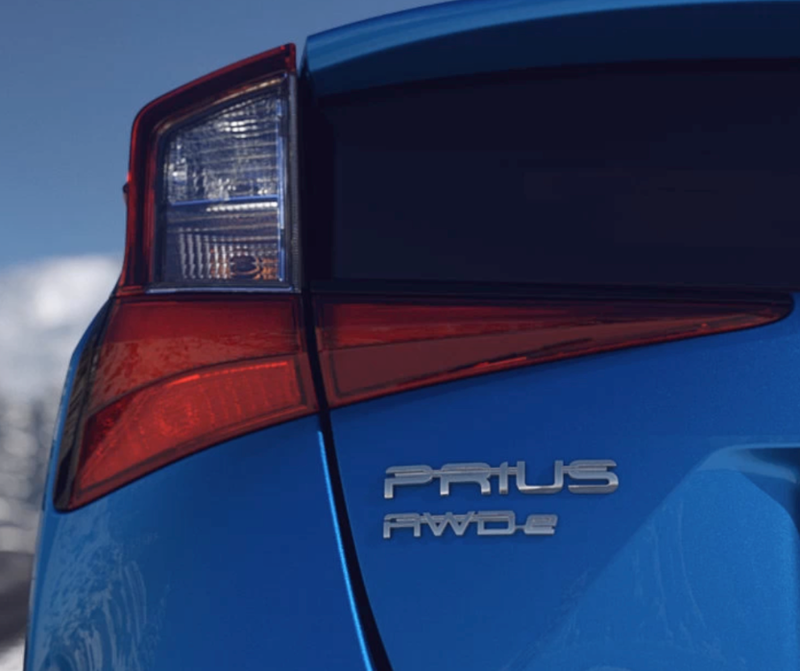 Prices for the Prius AWD-e and its on-sale date have not yet been released. We’ve long considered the Prius to be a really good midsize car that just happens to get 50 mpg. Now it can be a really good 50-mpg midsize car with the traction advantage of all-wheel-drive, a real bonus to those of us in the snow states. As long as the price premium is kept reasonable, we think this will give lagging Prius sales a serious shot in the arm. Written by: Rick Cotta on November 28, 2018.on March 25, 2019. 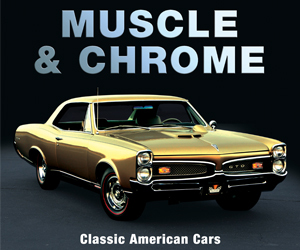 What was the Chevrolet Bonanza?